A discussion & ideation platform with more than 20.000 users. As an already exisiting platform to discuss documents and ideas, Discuto had the objective to reborn and become the reference of the discussions tools market. For that, not only a full re-think of the platform was necessary, but also a new website, a new landing page and a new visual image. -Work on UX/UI, including analysis of the existing UX; storyboarding, sketching and wireframing of the new UX, and later prototyping of it. -As well work on: Competitor & Customer research & analysis, Customer journey, Use Cases, Flows. The objective was improve the usability of the platform, in order to allow user to discuss ideas and documents in a easy and effective way, and give to the users an attractive framework to express their ideas. The process started with the definition of the objectives. 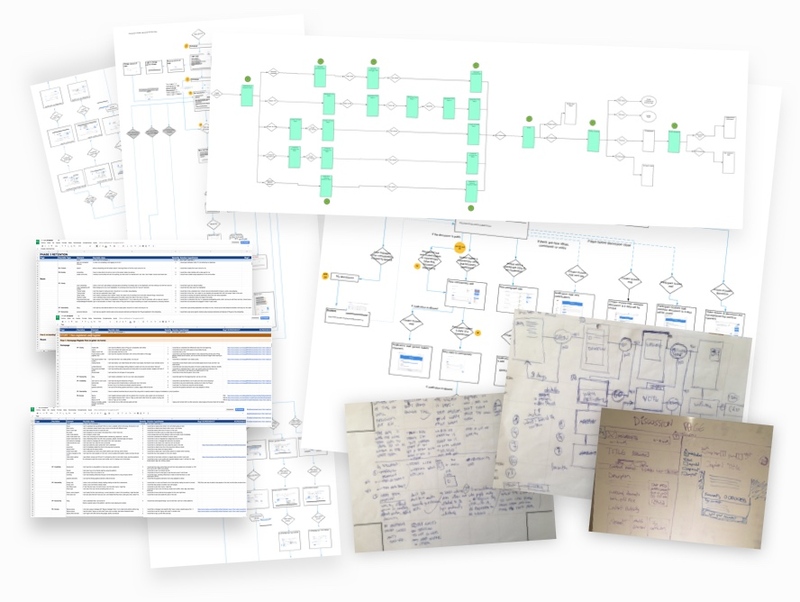 After that, it came differents phases like competitors analysis, the customer journey or the customer personas, to arrive later to the Solution Research, which prepares the terrain to the storyboarding phase, and after that, to the structural UX phase. It was in this phase that we arrived to the solution of create separates tabs between description and discussion. In the old version (see below), an unique page contains both elements, with the consequent overcrowding of information. In addition, potentially useful information was not shown, to prevent the page from becoming too long and for the user to find the discussion too low on the page. So, the first one tab, description, would include the general info, timing, main description, latest activity of the people and works like high view. The second brings the user to the discussion itself, 100% focused on the paragraphs, comments, likes, etc. Of course, user can go to one to the other tab easily. The idea was offer to the user the proper and necessary information about the discussion and the best possible way to interact with the discussion; that means, an easy and fast access to the discussion itself and proper navigation and participation on. 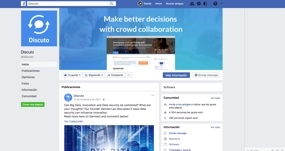 Once the user was on the discussion, user had to be able to do easily all the often actions (like see and comment the paragraphs) but also the non often actions (like see "further info"). All of this should be in a clear, readable interface as well appealing and visual. 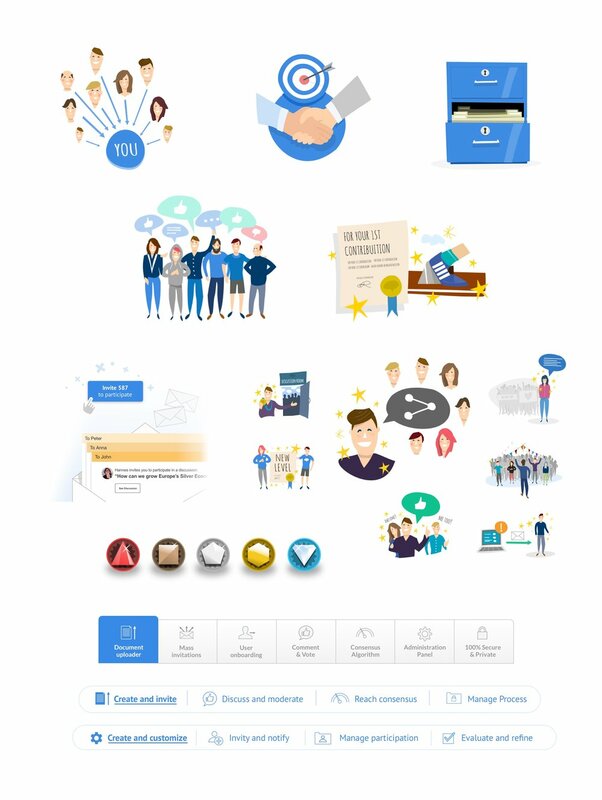 Along with the platform, the management interface was redesigned in order to provide user the proper ease to share discussion, manage and administrate all discussions and ideations. Besides the improve of the platform with the commented aspects, gamification and onboarding were include too in order to increase the engagement of the platform. With the website, the objectives were explain the features in order to allow user understand the product and give reasons to choose Discuto among the others options in the market, and also understand the quality of the product. Visual appealligness along a proper UX, information architecture and clear and direct copywriting were key to reach these objectives. Behind the illustrations style the idea was create something exciting, fun, easily adaptable in any kind of resolution and very communicational. Colors were chosen keeping the branding of Discuto, but adding differentiation and dynamism. The intention to show the appealingness in the illustration was again, show quality, to make the connexion that quality-worth-good working. 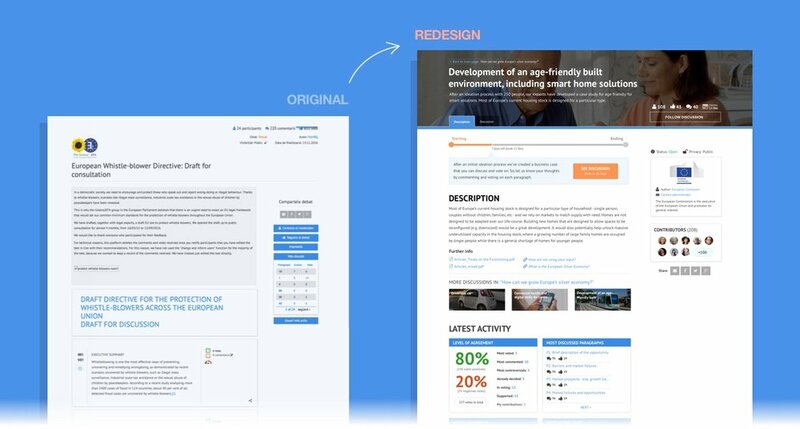 Related to the icons, clarity was the main objective but also keeping the style of the website/product in order to create a coherent and homogeneous experience. Finally, work was made in different areas like social platforms, creating banners and adapting elements for use on, or the creation of signals and posters for use in the conventions and other meetings. All content © except otherwise specified. All the brands, logos and content done for other companies are copyright of their respective owners.